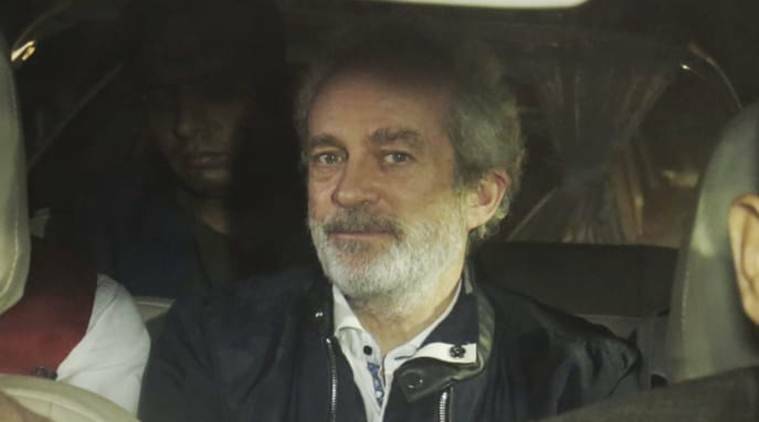 Christian Michel, the alleged middleman in the AgustaWestland case, was shifted to a high-security cell considering a threat to his life from Pakistani prisoners in the wake of the Pulwama attack, Tihar jail authorities informed a Delhi special court Tuesday. “At Tihar we have separate cells for foreign prisoners, Pakistani inmates, besides others,” the law officer on behalf of the jail authorities informed Special Judge Arvind Kumar, who objected to Michel’s alleged solitary confinement and asked whether there were no security issues in the last 70 days, “when the accused was at central Jail No.7”. The judge also pulled up the jail authorities, saying undertrial prisoners cannot be kept in jail, meant for convicts, under the Delhi Prisons Rules. The law officer and the Superintendent of Jail No.7, who was present in court, said the decision to “shift the accused to Central Jail No.2 in the high-security ward” was taken as it is not only “less crowded but safety guarded for the said prisoners”. “The decision was not taken abruptly…security of inmate Michel James was continuously monitored… only after it was sensed that there was apprehension of threat to the life… the decision was taken by the Competent Authority,” the jail official said. “He was not deprived of any facility of library, medical, canteen, visitors, legal interviews, sunlight etc,” the jail authorities said. This was backed by CBI’s counsel D P Singh, who said Michel’s application smacks of ulterior motive. Michel, who was extradited in December from UAE, claims he has been shifted to the high-security cell “at the behest of external pressure”, which amounts to punishment and mental torture. The court directed the jail authorities to shift Michel from Jail No.2 to either 1, 3 or 4, but that his safety and security should be ensured.